Getting to the moon is tricky; getting around on the moon is not. 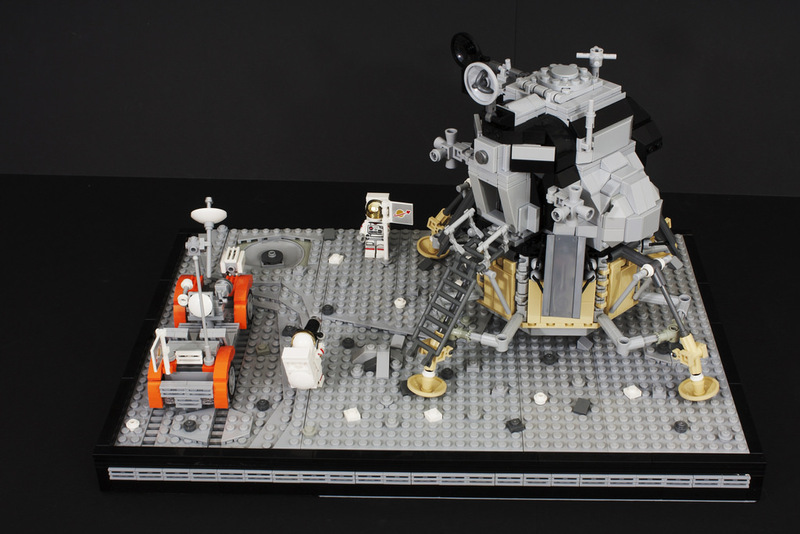 The last three missions all got to ride the Lunar Rover, built here by Dorian Glacet. This gorgeous little scene features the lunar lander in exquisite detail, plenty of texture to the moon’s surface, and the little Rover that could. I love the attention to detail with the equipment and the rover’s tracks.